Accommodation on touring itineraries can be far more than a place to bed down. Abigail Healy asks operators about the latest hotspots for clients to rest their heads. Cultural immersion is a key trend that many operators say they have seen growing customer demand for. Whether it’s traditional lodgings or staying with locals, accommodation can give an authentic insight into a destination. He cites an example of a Burgundy cruise based on a “boutique hotel barge” from £2,374pp that includes the chance to explore the region’s wine-making heritage and visit the citadel of Besancon, a Unesco site. “Like our other barge itineraries it has seen sales increase year-on-year as people look for something different,” Kerr adds. Looking further afield, InsideAsia Tours’ group tours manager, Elisa Ferroni notes that an “increasing number of travellers are seeking more profound cultural insights and a chance to escape the tourist trail”. The operator is looking to cater to such travellers with options such as spending a night in traditional shukubo Buddhist temple lodgings at Nagano’s Zenko-ji Temple on its 13-night Japan Unmasked small group tour, which starts from £1,790pp. “There’s no better way to get beneath the surface of Japanese culture than bedding down and eating alongside monks and partaking in an atmospheric Morning Prayer ceremony,” says Ferroni. On its Japan – Land of the Rising Sun tour Riviera Travel offers guests the chance to spend a night in a traditional Japanese Ryokan or inn in Kyoto from £99pp, where guests sleep on a rolled out futon with tatami matting on the floor and enjoy a multi-course traditional kaiseki (dinner). In India, specialist operator Greener Pastures’ Rainforest Trekking in Namdapha National Park (nine-days from £600pp based on a group of four) includes a stay in Embeong Village where guests either camp or stay in the home of one of the Lisu tribe. Films, TV shows, music and celebrities can hold serious sway when it comes to clients’ perception of a destination and it’s a trend that Newmarket Holidays has harnessed. Product director, Richard Harrington, says: “By reviewing customer feedback we identified that the unique hotels we use are an incredible pull when it comes to booking a once-in-a-lifetime experience. He adds that in south-east Asia, films and documentaries have changed how customers want to experience a new country and culture. Examples include Colonel’s Retreat in Delhi where the family is present during dinner, and the Garden Hotel in Udaipur, which houses a collection of vintage cars that belonged to the Maharanas of Mewar. Travelling off the beaten track is an enticing element of touring but staying in remote locations isn’t always easy. 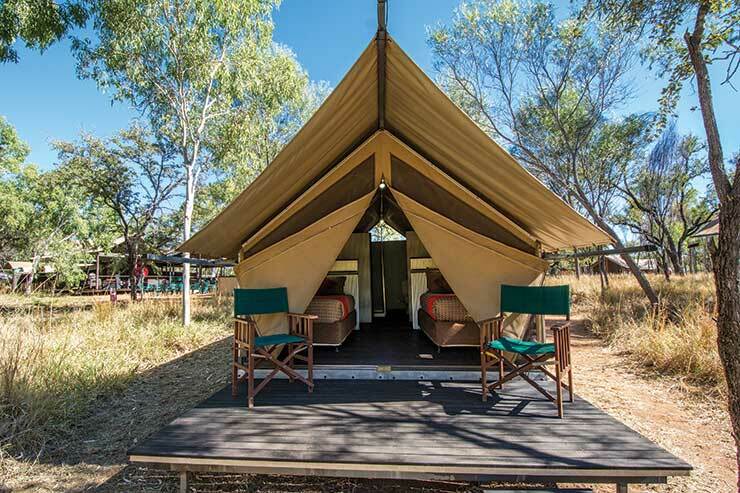 APT owns a network of Wilderness Lodges in the Kimberley region of Western Australia, which offer an outback experience with exclusive access to indigenous land on its 15-day El Questro, Gorges and Purnululu tour, from £5,645pp. On Audley Travel’s tailor-made tours to New Zealand’s South Island from £4,225pp for 16 days, clients have the option to spend a night in a PurePod. These unusual lodgings are made entirely from glass and set in remote locations so guests can experience the beauty of the surrounding nature while cosseted inside. On the flip side, competition for the bucket list-topping destinations requires operators to think outside the box. Grand American Adventures has seven new In-Depth tours in North America that incorporate stays in boutique lodges and ranches as well as yurts and cabins. Iain Shiels, head of product at Grand American Adventures, says: “There is a lot of competition now for much of the same space in bucket list US destinations. Our guests want tours to deliver an in-depth experience, but in a uniquely different way that couldn’t be replicated if they hired a car and did it themselves. Sister brands Trafalgar and Luxury Gold have both noticed an increased interest in eco-friendly accommodation among their guests and have updated their holiday offerings accordingly. “Trafalgar’s guests are increasingly conscious of their footprint on the natural world, looking to travel ethically and sustainably,” says sales director, Ruth Hilton. The operator offers its Authentic Accommodation on many of its itineraries. These are independent properties that give visitors a true sense of the local lore, culture and heritage, and many are eco-friendly. Remota Lodge in Puerto Natales on Trafalgar’s nine-day Wonders of Patagonia tour from £4,234pp has been built in harmony with the surrounding natural environment and every measure is taken to ensure that the property’s footprint on the environment is minimised. And on Luxury Gold’s new seven-day Indulgence in Costa Rica itinerary, which starts from £3,155pp, Bajos del Toro in the Cloud Forest is an eco-luxury retreat for those keen to enjoy the comforts of a luxury hotel with a focus on sustainability. A luxurious spot to wind down after a busy day’s sightseeing is unsurprisingly increasingly popular. Cosmos has seen such demand for its Platinum tours operated by sister company, Globus, that it has increased its range for 2018. The newly introduced 13-day Mexico’s Copper Canyon tour, from £1,999pp, features Hotel Mirador in a spectacular location at the top of Copper Canyon. Riviera Travel’s 15-day India and Shimla Extension, from £1,959pp, includes three-nights at the Oberoi Cecil Hotel in the mountains, the most exclusive hotel in Shimla during the British Raj. And InsideJapan Tours’ 10-night Luxury Japan trip, from £8,950pp, includes stays at the Park Hyatt Tokyo – of Lost in Translation fame – and the Four Seasons in Kyoto. 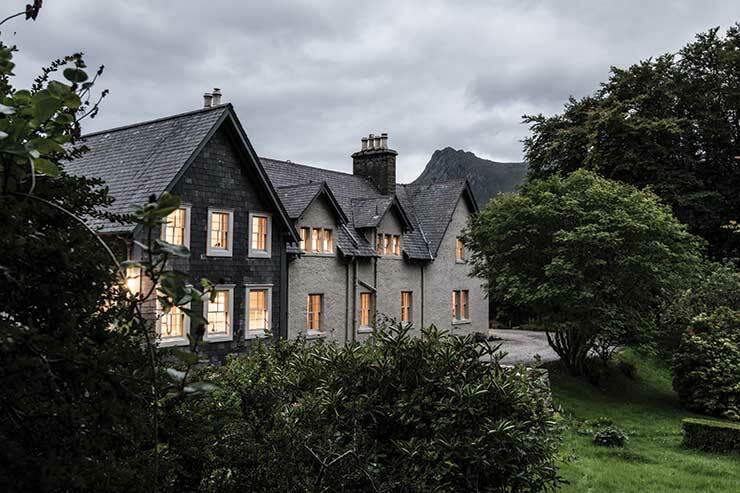 Closer to home, Wilderness Scotland welcomes guests into cosy all-inclusive wilderness lodges on two of its guided wilderness walking trips including Luxury Walking: North Highland Coast, from £3,095pp for six nights.